Ensure your Play StoreTM or App Store apps are up to date as the following steps apply to the most recent version. 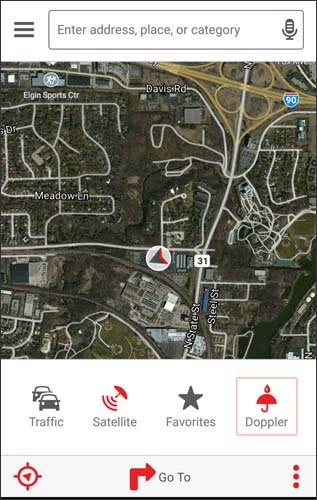 From the VZ Navigator home screen, tap Map (located at the bottom). 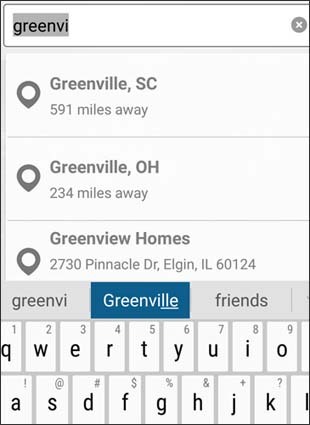 If applicable, enter an address, place or category in the Search field, tap the location once it appears, then tap the map image. 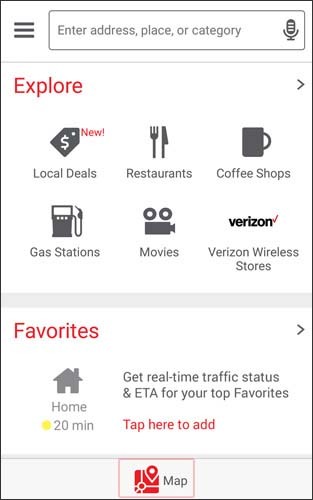 Alternatively, tap the Microphone icon (located on the right in the Search field) to conduct a voice search. Tap Doppler (located in the lower-right). 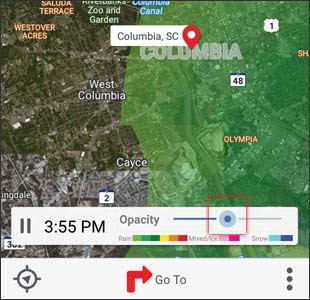 If prompted with "No weather information on this zoom level", touch and hold screen then zoom out by pinching two fingers together. If preferred, slide the dot right or left to adjust opacity (density of shading).